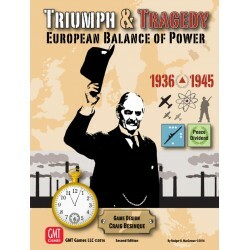 Triumph and Tragedy is a geopolitical strategy game for 3 players (also playable by 2) covering the competition for European supremacy during the period 1935-45 between Capitalism (the West), Communism (the Soviet Union) and Fascism (the Axis). 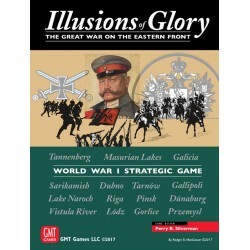 Illusions of Glory—The Great War on the Eastern Front is the latest Card Driven Game to simulate the Great War in Europe. 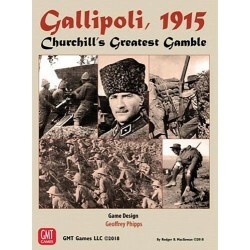 First came the award-winning legendary Paths of Glory by Ted Raicer, which simulates the entire war in Europe and the Middle East which is now a convention favorite. 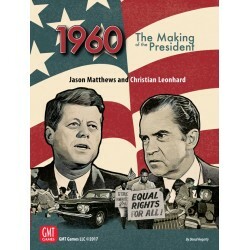 Winner of the 2008 International Gamer Awards best two-player strategy game and nominated for numerous other awards, 1960: Making of the President is widely recognized as the best U.S. presidential election game ever published. 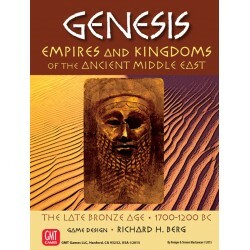 Genesis is a campaign-level game covering the turbulent Late Bronze Age in the Middle East, where kingdoms rose and fell while establishing many of the systems and ways of life that underwrite Western Civilization. You’ve swapped paint and mixed it up with the good ol’ boys. But are you ready for a new challenge? The global stage is calling and now is your chance to step up into the big time. Take on the role of a knight and join the prestigious tournaments at the king's court. 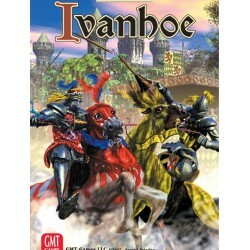 Use your cards to win the jousting competitions, or fight with your sword, axe or morningstar. 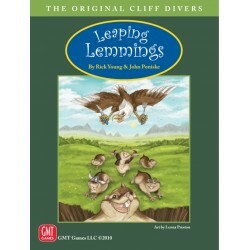 Leaping Lemmings is a humorous hobby or family game for 2-6 players. Each player controls a cloned clan of lemmings that have been specially trained to compete with the other lemming clans, all trying to scurry down a canyon and hurl themselves over a cliff. 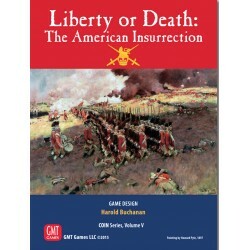 Liberty or Death: The American Insurrection - Reprint Ed. 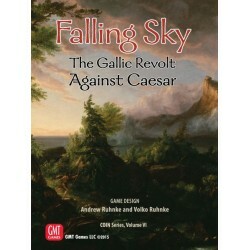 Falling Sky : The Gallic Revolt Against Caesar (formerly Gallic War: SERIE COIN number 6) takes 1 to 4 players into the military actions and complex politics of Roman-occupied but not-yet-conquered Gaul. Caesar and his hard-hitting legions cannot be everywhere and will not triumph without powerful allies among local tribes. 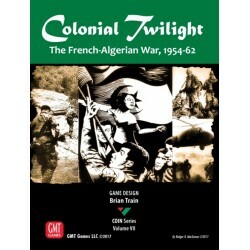 This expansion set includes the most significant French forces that saw action on the Western front in 1940. Also included are the German forces that invaded France and the Low Countries, flanked the Maginot Line, and finally pushed on into France. 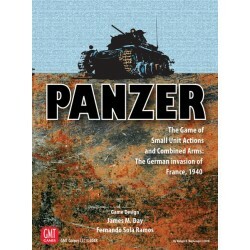 The playbook includes rules for special units, new optional rules for Staggered Initiative, Command Span, and others, 12 riveting scenarios (including 2 historical scenarios depicting the fierce battle for Stonne, and two solitaire scenarios), and unit summaries for the French and German units. 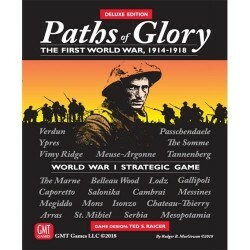 Paths of Glory, designed by six-time Charles S. Roberts Award winner, Ted Raicer, allows players to step into the shoes of the monarchs and marshals who triumphed and bungled from 1914 to 1918. 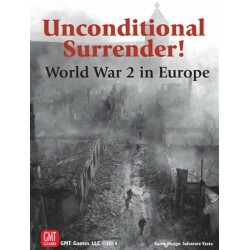 As the Central Powers you must use the advantage of interior lines and the fighting skill of the Imperial German Army to win your rightful "Place in the Sun." As the Entente Powers (Allies) you must bring your greater numbers to bear to put an end to German militarism and ensure this is "The War to End All Wars." 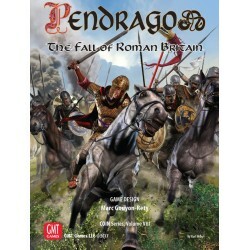 Both players will find their generalship and strategic abilities put to the test as Paths of Glory's innovative game systems let you recreate all the dramatic events of World War I.
SPQR (Deluxe Edition) is a re-working of the classic GMT game of warfare in the age of the Roman Republic, out of print for many years now. 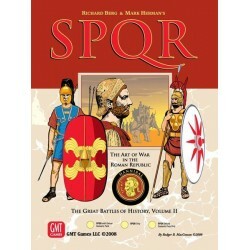 The deluxe edition contains the five scenarios, maps and counters from the original SPQR, plus nine additional scenarios (and the requisite maps and counters) taken from various expansion modules. 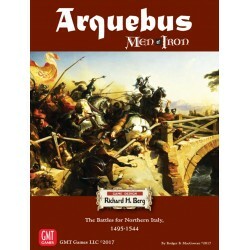 This major revision makes available again a key part of the brilliant Great Battles of History Series. 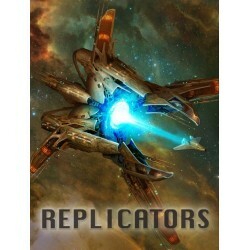 Space Empires: Replicators is the Second Expansion in the Space Empires series. It adds a number of cool features to the Space Empires base game. So wrote the 6th Century AD British monk Gildas in his pamphlet De Excidio Britanniae (“On the Ruin of Britain”) about what had befallen the Romano-British lands. November 1st, 1954: On the eve of All Saint’s Day, armed members of the Front de Liberation Nationale (FLN) arose in revolt across Algeria against the French colonial government. 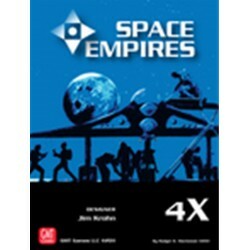 Space Empires 4X is a game in the finest tradition of 4X space games - eXplore, eXpand, eXploit, and eXterminate. This game is Rich in Theme. Carriers, fighters, mines, cloaking, dreadnoughts, merchant shipping, colonization, mining, terraforming, shipyards, black holes, warp points, non-player aliens, Doomsday Machines - everything an Epic Space Opera needs. 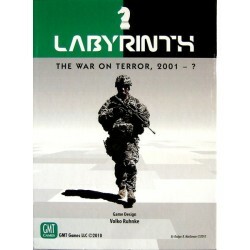 is a strategic level game covering the World War Two’s European Theater. 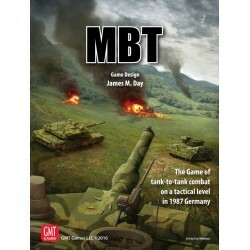 Players control the political decisions and military forces of the Axis, Western, and Soviet factions that struggled for European dominance and survival. Northern Italy - and especially Milan - at the end of the 15th century was the brutal focal point for power and control between France and the Imperialist empires of Venice and Spain. And the battles fought for this prize are a record of the changing face of how war was fought. Pericles is a ‘sandbox’ (unscripted) wargame that covers the ENTIRE period of conflict described in Thucydides classic history on the Peloponnesian wars. 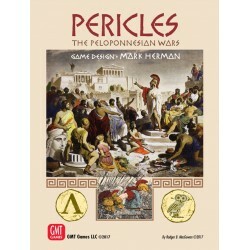 Pericles is a four-player game, where two teams of Athenian and Spartan factions fight for Hegemony in 5th Century Greece. 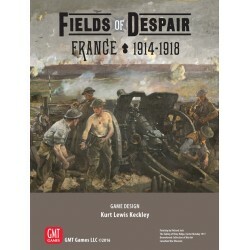 Fields of Despair: France 1914-1918 is a 2-player hex-based strategic level block war game set on the Western Front of the First World War. 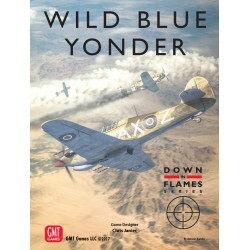 Players take control of the Allies or Central Powers fighting the war on land, at sea, and in the air all the while making tough economic and technological decisions at home. 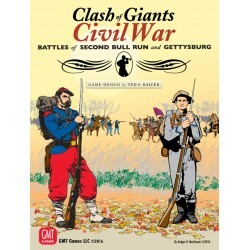 Clash of Giants: Civil War, takes the game system from Ted S. Raicer’s popular and critically acclaimed Clash of Giants WWI series to two of the storied battles of the American Civil War: Second Bull Run andGettysburg. 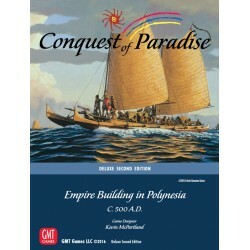 Conquest of Paradise is a game of empire building in the "Polynesian Triangle" of the central Pacific Ocean for two, three, or four players. Players explore the unknown ocean around them, hoping to discover the most lucrative island groups, and colonize them. 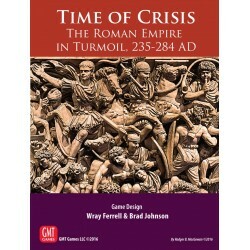 During the Crisis of the Third Century, the Roman Empire nearly collapsed in the face of calamitous internal and external strife, including continuous civil war and barbarian invasions from all directions. They struck with the ferocity of a thunderstorm on the open prairie. Once they were a relatively feeble tribe, dwelling in the foothills of the Rocky Mountains. Until, that is, they came into possession of horses. Following on the success of No Retreat! 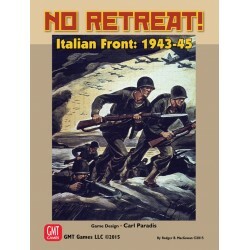 Where the Russian Front of World War II beckons, and then taking the action to the African Front, and then the French Front, game designer Carl Paradis presents the fourth chapter in this game series, No Retreat 4: The Italian Front. By late 1942 the Axis had been stopped at Stalingrad, El Alamein, and Guadalcanal. 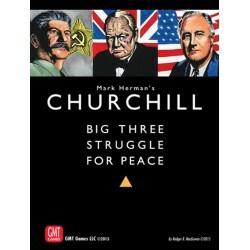 With Axis expansion halted and Allied victory only a matter of time and resources Churchill, Roosevelt, and Stalin began to focus on how to shape the ensuing peace to their advantage. 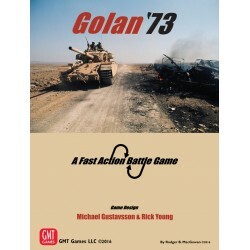 Michael Gustavsson teams up with Fast Action Battles (FAB) series designer Rick Young to jointly bring you volume III in the FAB game series. Russia, was ruled until 1796 by Catherine the Great. It would then suffer under "Mad" Tsar Paul I, until his assassination in 1801, which brought his son Alexander I to the throne. 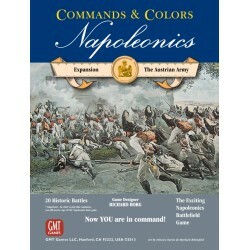 The Austrian Army is a Coalition expansion for Commands & Colors Napoleonics. Prior to the Napoleon wars, the Austrian Empire stretched from Italy to the Netherlands and from Poland to the Balkans. 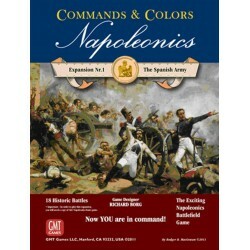 At the time of the Napoleonic Wars, Spain was only a shadow of its former power. Spanish troops and leaders, as many Napoleonic historians point out, performed badly on a large number of occasion. 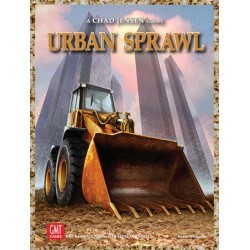 Urban Sprawl is a game for 2-4 players. Urban Sprawl abstractly models the growth of a town into a teeming metropolis. 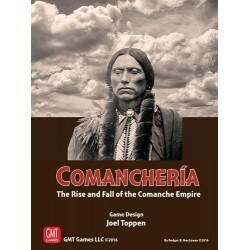 Players assume the roles of entrepreneur, tycoon and politician—each helping in the development of a hypothetical “Anywhere, USA.” Wealth and Prestige will be earned and spent throughout the game. 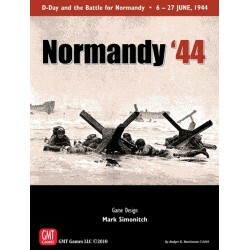 Normandy '44 is a 2, 3, or 4-player, regimental level game of the D-Day landings on June 6th and the battles that raged in Normandy for the next 21 days. 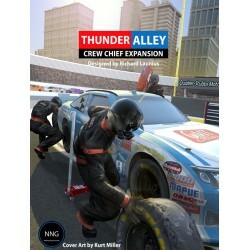 The Thunder Alley Crew Chief Expansion provides a new way to play Thunder Alley by adding strategic options which offset the luck of the draw and allow for more control over your team. 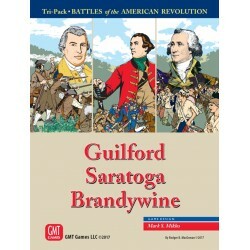 In order to get several of the popular AmRev series games back in print, we are offering an American Revolution Tri-Pack. Welcome to Centerville is a fast-playing board game for 2-4 players. Welcome to Centerville abstractly models the growth and management of a small city. In 1846, 3-5 tycoons compete to earn money and build the best stock portfolio by investing in and operating railroads within the midwestern United States. Europe’s worst fears are now a reality. For the 3rd time in the century, war erupts. A global economic crisis, strangling sanctions and runaway military spending trigger major unrest across the Soviet Union. 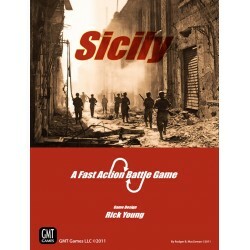 The Fast Action Battle Series (FAB) game series, designed by Rick Young (Europe Engulfed, Asia Engulfed, and FAB: The Bulge), takes you now to the Allied invasion of Sicily in 1943 for Volume II in the FAB Series. 90,000 B.C. — A great ice age is fast approaching. 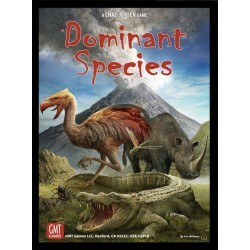 Another titanic struggle for global supremacy has unwittingly commenced between the varying animal species. 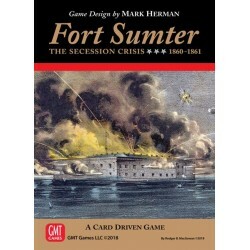 Fort Sumter is a two-player Card Driven Game (CDG) portraying the 1860 secession crisis that led to the bombardment of Fort Sumter and the American Civil War. Fort Sumter is a small footprint game (11x17” mounted map) that takes approximately 25-40 minutes to play. The game pits a Unionist versus a Secessionist player. 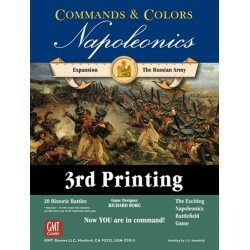 Each player uses the area control mechanic pioneered in Mark Herman's We The People design and immortalized in Twilight Struggle to place, move, and remove political capital. The location of political capital determines who controls each of the four crisis dimensions (Political, Secession, Public Opinion, and Armaments). 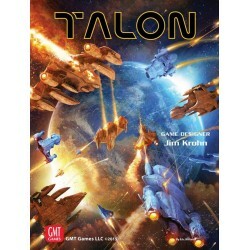 After three rounds of play, the game culminates in a Final Crisis confrontation to determine the winner. 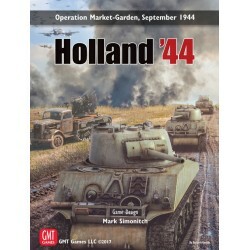 In the early winter months of 1943 the Soviets were driving deep into German lines. Their hope was to destroy the southern wing of the German army while it was still reeling from its defeat at Stalingrad. There were large gaps in the German lines and a quick advance here could turn the tide of the war. 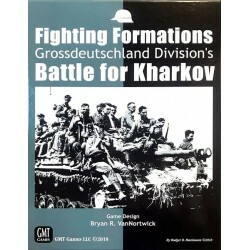 Time after time the Panzergrenadier Division Grossdeutschland was called upon to reinforce, fill and stabilize weak points, and to close the gaps before the onslaught of Soviet troops could pour through. Oftentimes they were outnumbered and arrived just in the nick of time. 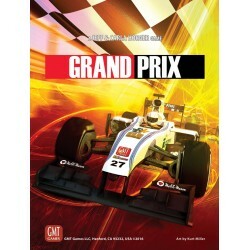 The game system emphasizes command and control. Players command by Brigade and Regiment. To be successful, a player must plan for the eventual exhaustion of their troops, rotating them out of line to rest and recover stragglers. The result is an accurate modeling of the tempo of these battles.